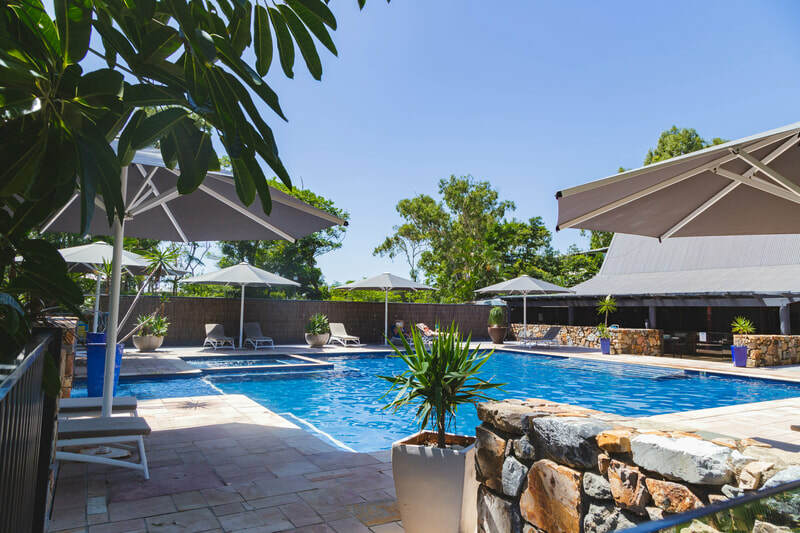 Palm Bay Resort is a beautiful boutique resort nestled in the neck of Long Island, one of the iconic islands of the Great Barrier Reef. 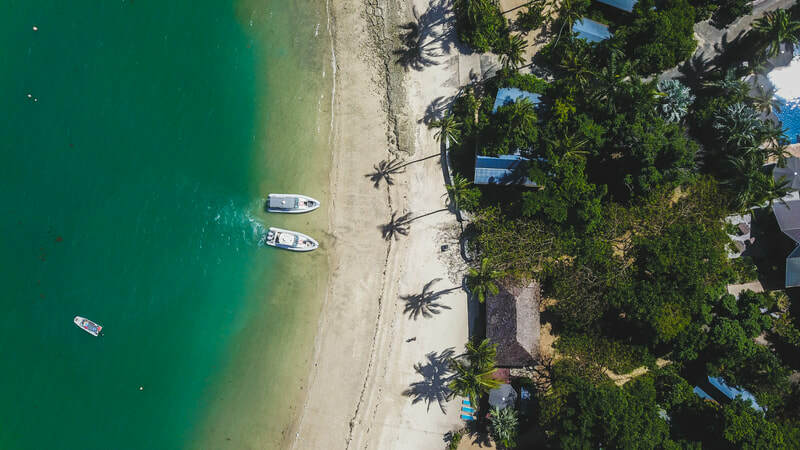 With their very own secluded private cove, Palm Bay offers spacious Balinese inspired villas with extensive views to the Whitsunday passage and Coral Sea. 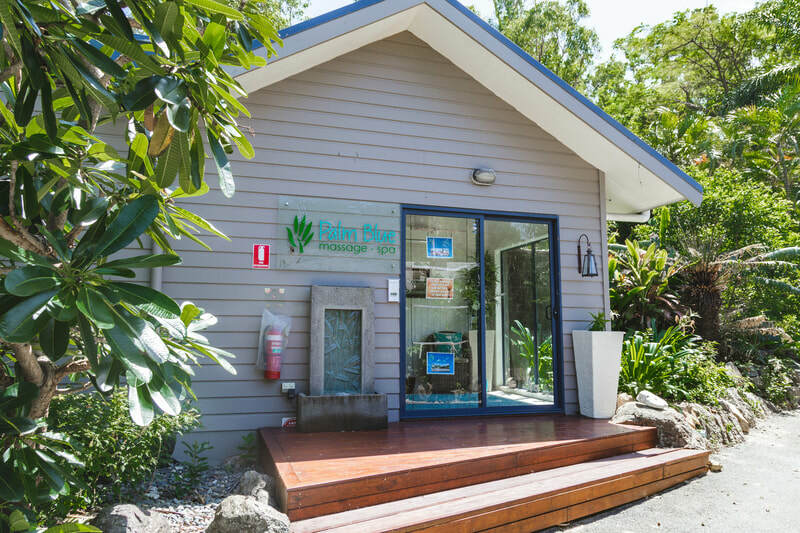 Offering complete tranquility and seclusion, Palm Bay has been designed to intricately blend into its natural surroundings and a stones throw from some of Australia’s most iconic reefs and beaches, including Australia's best beach, Whitehaven Beach! As the only self-catering accommodation in the Whitsundays, Palm Bay Resort offers a unique resort experience, with a twist! Palm Bay offers 23 unique accommodation villas and suites that are ideal for couples or individuals. The resort can cater to groups of up to 60 people offering sole occupancy of the resort for events, weddings and corporate functions. 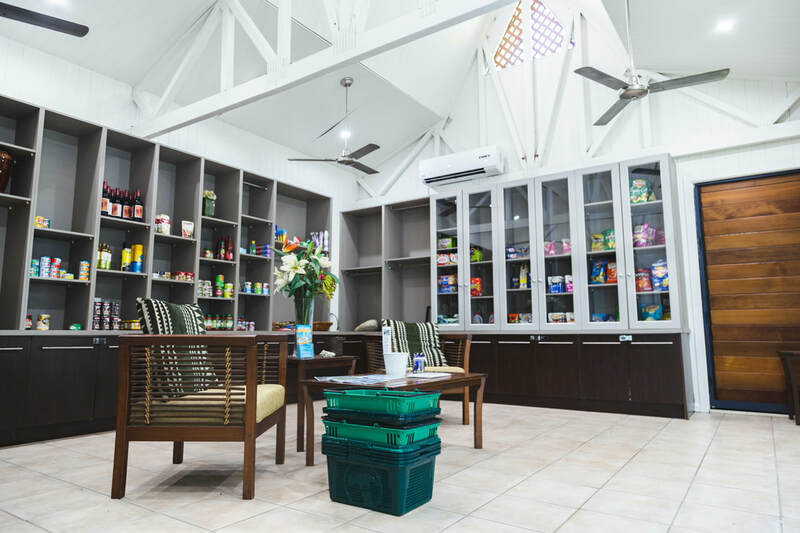 Guests of Palm Bay Resort can access all of our resort facilities including our newly renovated fully equipped guest kitchen and Palm Bay Bar. 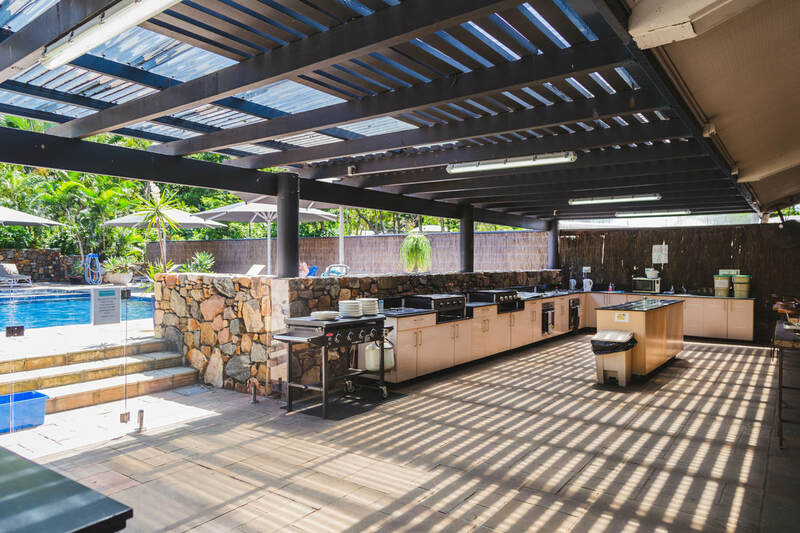 Other facilities include the poolside dining area as well as our Palm Blue Day Spa, beach pavilion and lounge space, media room, tennis court, nature walks and kayaks. For the more adventurous, we can also help you organise Whitsunday activities and tours such as reef snorkelling, fishing charters and water-sports adventures. The resort does not offer WiFi at the resort; however in certain areas of the resort there is very good reception. We recommend you use your hotspot or bring your own mobile wifi with you. Our front desk reception and friendly resort staff are available 24/7 to assist you. Their spacious villas sit on the waters edge and provide five star comfort and extensive views to the Coral Sea and Whitsunday Passage. 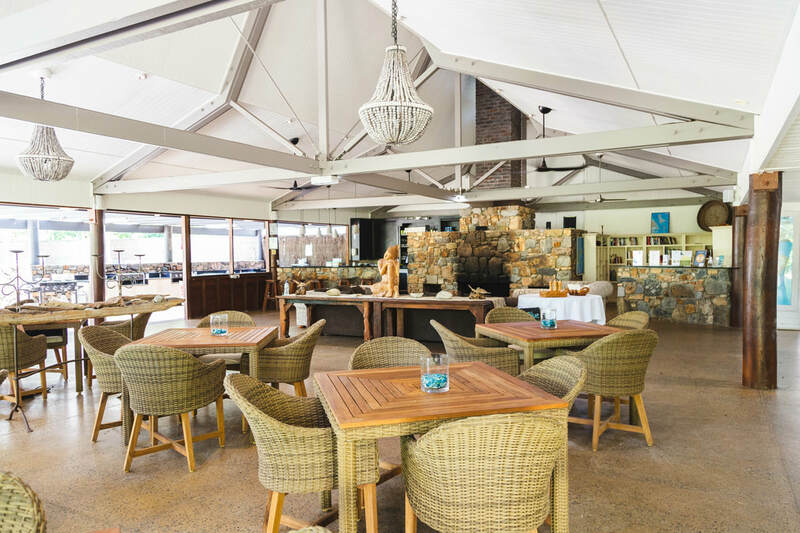 Palm Bay Resort offers resort style accommodation with the convenience of self-catering. Guests of Palm Bay will need to supply their own food. For your convenience the resort offers a good selection of frozen meats, seafood and bread, meal bases, pasta, rice and other non-perishable and snack items as well as a wide variety of alcohol available for purchase from the Palm Bay Resort store. The Palm Bay bar offers a wide selection of cocktails, spirits, beer and wine. For fresh produce we have a relationship with Whitsunday Provisioning who you can order complete meal plans from, or simply shop on their online supermarket and arrange delivery of your order to our island. Please see the Self Catering Options page for more details.